212 Inc., a sales and marketing firm based out of Wellesley, MA, traveled to Miami for a national client hosted conference. The weekend is an annual event geared around rewarding the country’s client vendors. In addition to dinners, a talent show, free jet ski rides and awards ceremony, there was a charity dodgeball tournament to raise money for Operation Smile. 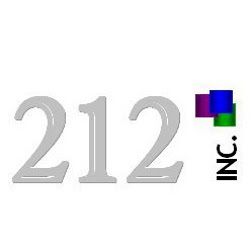 212, Inc. is a premier outsourced sales and marketing firm in the greater Boston area. As a privately owned and operated firm, 212 is dedicated to providing opportunity to Fortune 50 clients as well as every associate. One of the main clients at 212 is the nation’s leading provider in the telecommunications industry. The client provides bundled Internet access, telephone, and television services. 212’s focus is to acquire and retain account holders for the fiber-optic communications division of the company. 212 is hired because its clients look for "an edge" in advertising. 212, Inc. helps fill the gap between client and customer that advertising leaves. 212 achieves its results by conducting live presentations one on one with client account holders. Operation Smile, a non-profit organization founded in 1982, is an international charity for children. The organization is a mobilized group of doctors and nurses who provide reconstructive surgery for children born with facial deformities such as cleft lip and cleft palate. Since inception, Operation Smile has created a presence in over 60 countries and has helped more than 2 million people with evaluations as well as conducted over 200,000 free surgeries. The dodgeball tournament involved several teams of 6 competing in a best out of three bracket style competition. Each team paid an entry fee of $100 to play. One hundred percent of the donated entry fees went to Operation Smile. “It is always exciting to give back. Operation Smile is such an inspiring organization of extremely selfless people. I am glad we were able to be a part of the event and I look forward to continuing to work with Operation Smile in the future,” explains Andrea Atkinson, President of 212, Inc. The event helped raise $3600 and the winning team got the honor of presenting the total donations in their name. 212, Inc. has also volunteered with the Salvation Army’s Adopt A Family program and will continue its philanthropic work in the months to come.